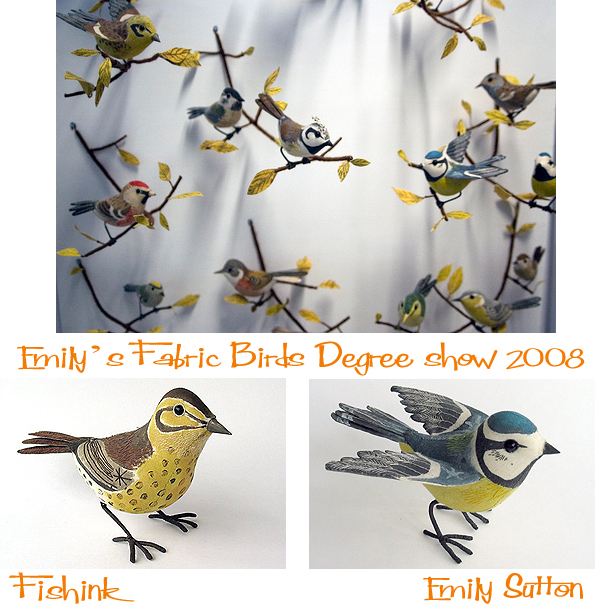 I’ve admired the work of Emily Sutton since 2008 when she graduated from studying Illustration at Edinburgh College of Art and her fabric sculptured birds made their first appearance. 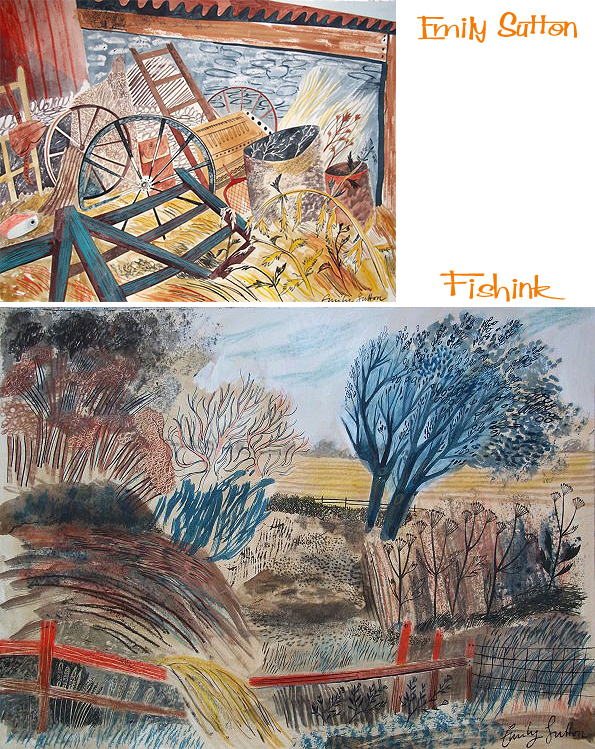 I noticed how quickly her work has grown in popularity and style to become the rich, varied work that it is today. In an interview with UK Handmade, she tells us a little more about what influences and interests her. 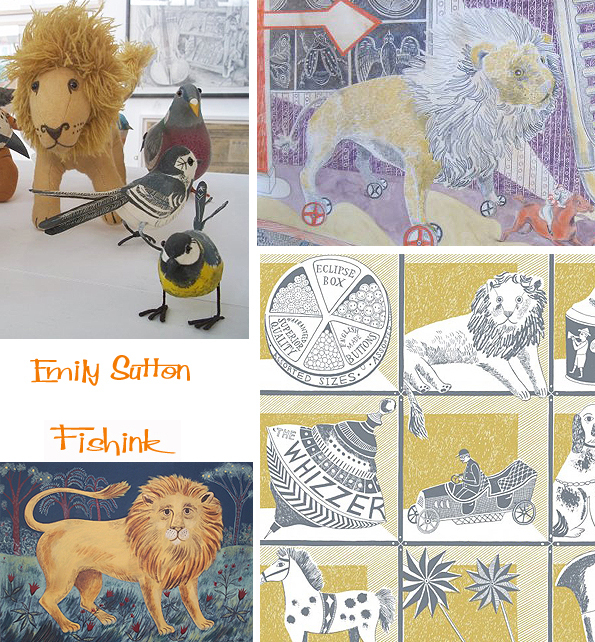 ” My work is inspired by my love of old children’s book illustration (from the early to mid 20th century), in particular the picture puffin books, and the work of artists and designers also from that era including Edward Bawden, Eric Ravilous and Barbara Jones amongst others. I have always been very interested in detail and intricacy and this is carried through into my own image making. 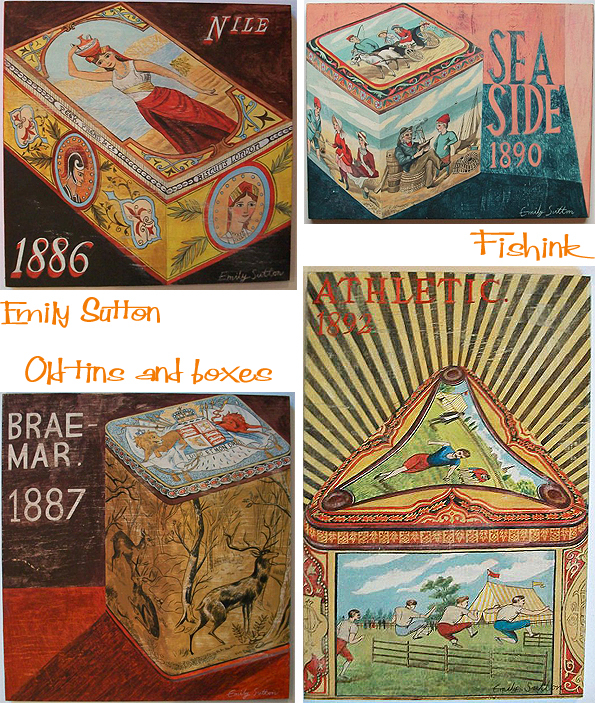 Another big source of inspiration is folk art- which I initially became aware of when I visited the Museum of American Folk Art in New York when I was a student. I found the colour, energy and playfulness of what I saw there really exciting and it definitely influenced how I approach making both images and my three dimensional work. I believe very strongly in hand-made, and I suppose that my work could be described as quite traditional in the sense that I would never consider using a computer to make an image (even if I knew how to! ).” These beautiful pen and ink or watercolour illustrations below show us what a great eye for detail and colour she possesses. 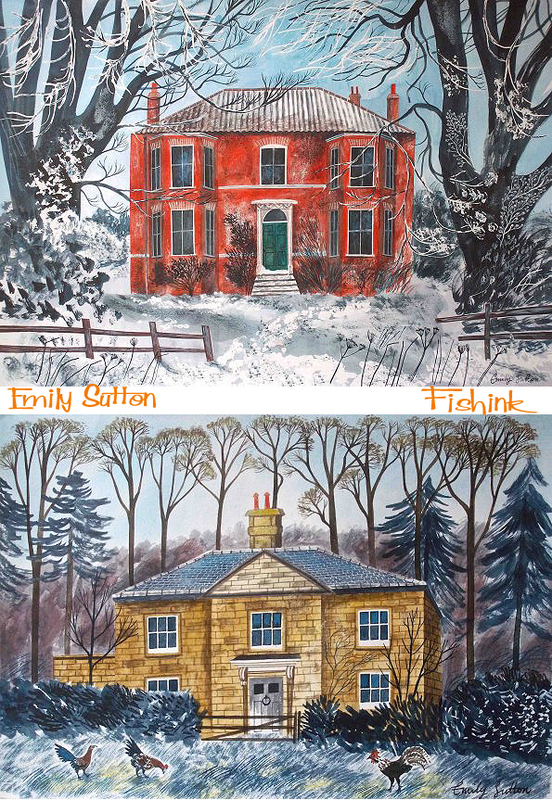 Her work has an artistic nod towards her influential hero’s Bawden and Ravilious but essentially Emily has her own style, somewhat fresher and contemporary. This red House amongst the snowy landscape almost sings out with it’s wintery song and Christmassy colours. 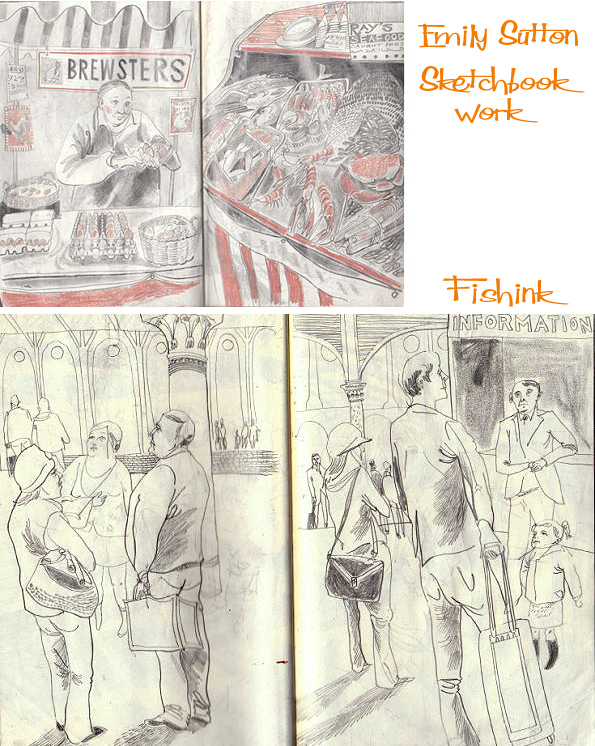 Her observational skills are also apparent in the work featured from her sketchbook. There’s a great feeling of being there in the space alongside her, as she shows us excerpts from her travels and observations from natural history museums. 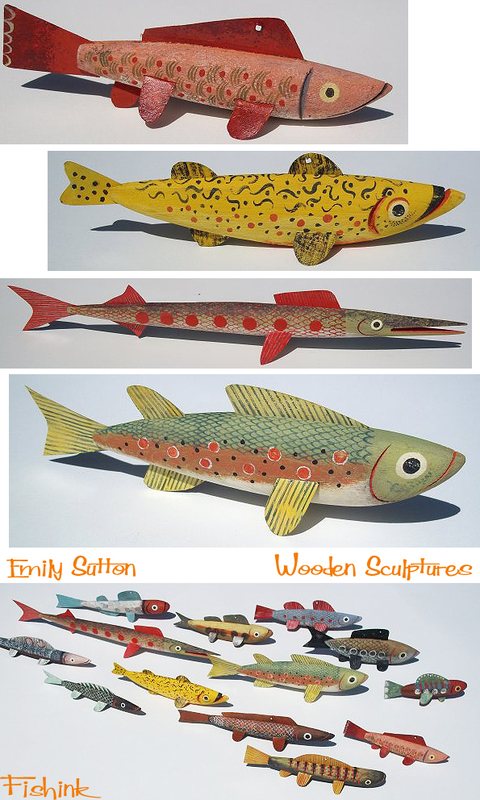 She hasn’t left her love of making things either, as we see a range of wooden fish with folk art colourations and expressions. Her life seems forever surrounded with memorabilia and found objects from past times, which she carefully documents into her painterly collection. Some objects even reappear, perhaps they’re fond favourites. 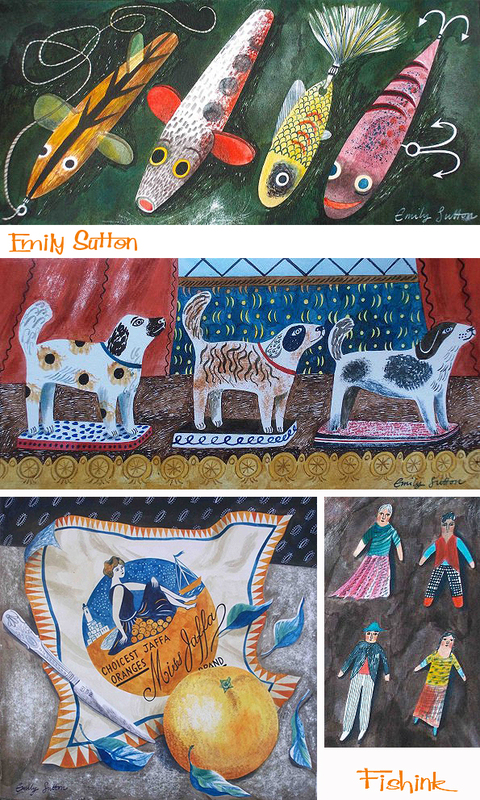 Thanks Emily for continuing to inspire and delight us with your illustrations. 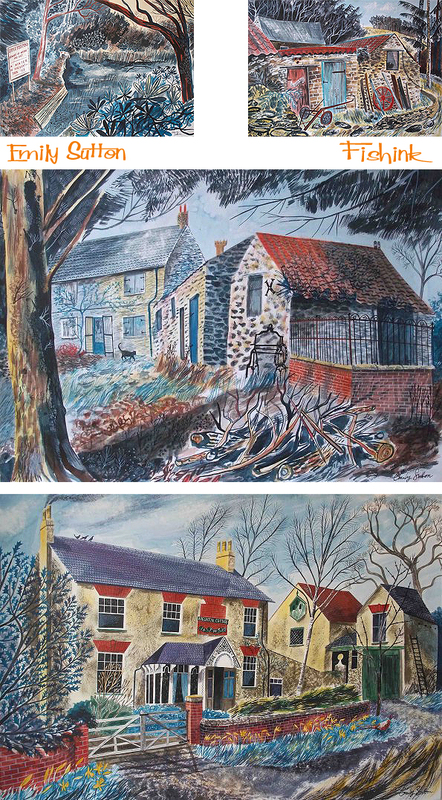 Thanks Jane, Yes I think her work has developed so quickly and has a real association for the countryside and rural days of the past. 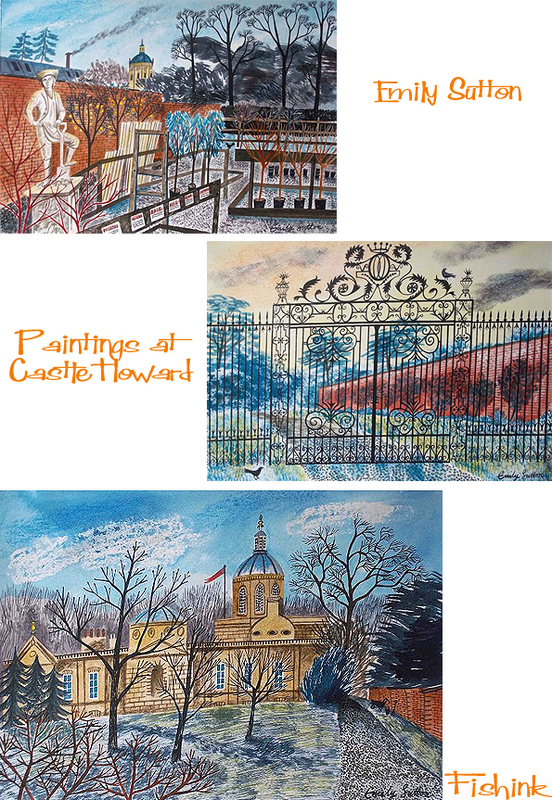 I have become aware of her work through some creative U.K. blogs I follow. Wonderful! Emily is also part of the St Judes Artists. http://www.stjudes.co.uk well worth a look there too. 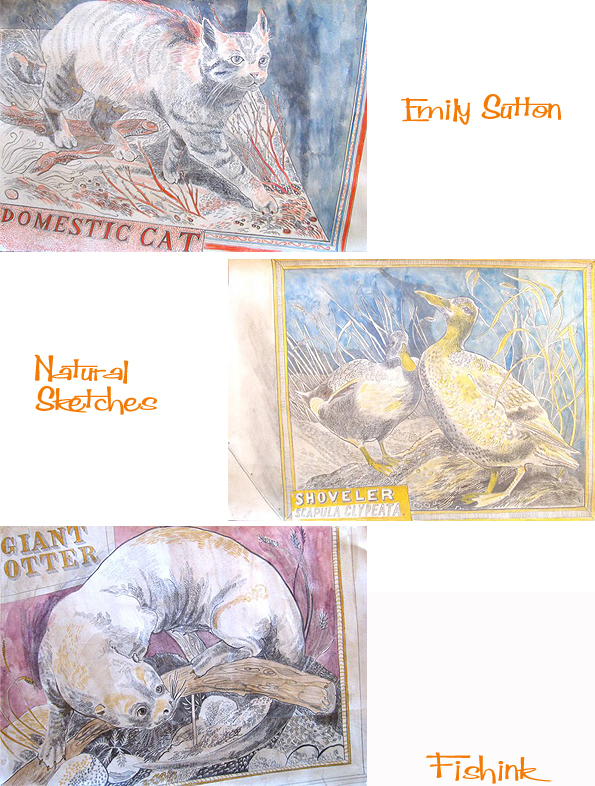 Saw her degree show birds and have followed her work since- lovely stuff! Really like your posting. 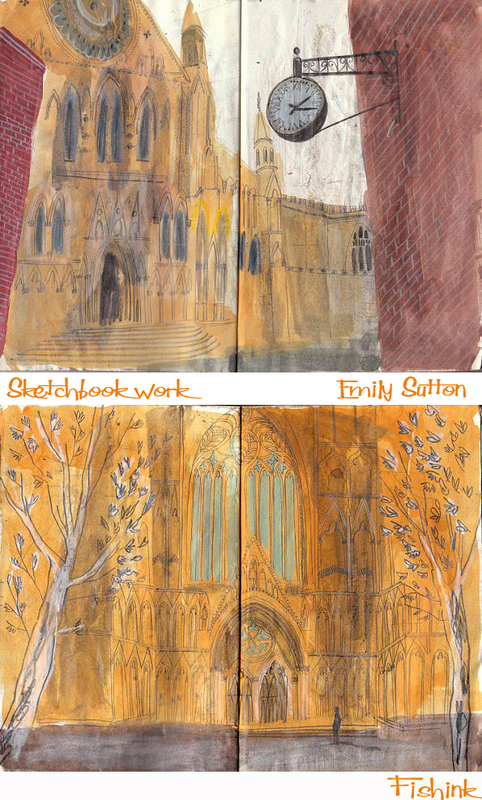 Have met Emily and as a fellow illustrator and printmaker can really appreciate her talent. 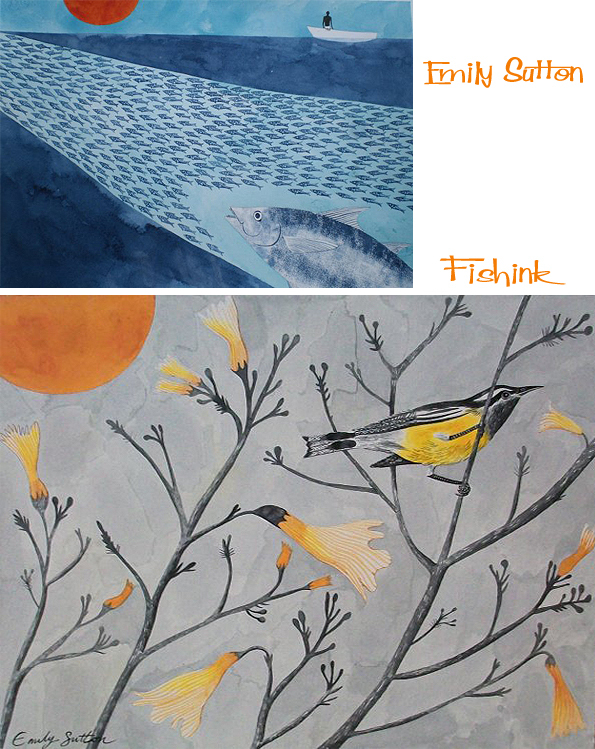 Thanks Catherine, I’m always amazed at how much work Emily produces over a short period of time. With such detail and consistent quality too. A real talented artist. Yes, she’s very lucky that she has the time to devote to her work and is able to earn a living from this without having to work elsewhere. Very talented.